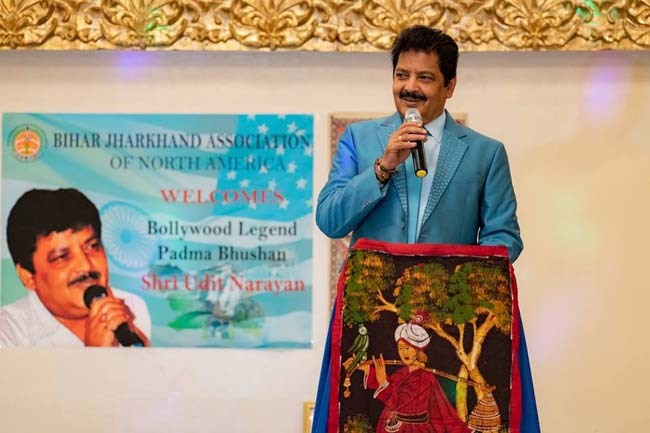 Royal Albert Palace, Edison, NJ :The Bihar Jharkhand Association of North America (BJANA) welcomed Bollywood’s own legendary playback singer Padma Bhushan, Shri Udit Narayan, on September 3rd. 2018, at Royal Albert Palace, NJ. Around 200 fans of Shri Udit Narayan attended the Felicitation Lunch event organized by BJANA. 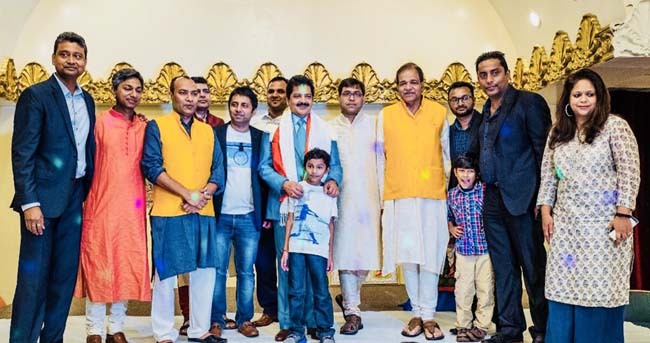 The Event included classical and Bollywood dances, songs of Udit Narayan performed by various artists from the community. Fans of Sri Udit Narayan cheered and gave him a standing ovation as he entered the Hall. A group of women welcomed him with their beautiful Maithli song renditions. In his address to the audience, Shri Udit Narayan revealed that he was born at his maternal uncle’s home in Bihar and hence called himself a Bihari. FIA Chairman, Mr. Ramesh Patel along with FIA team and Association of Nepali Terrain in America joined hands with BJANA for the facilitation Event. The occasion was also graced by the presence of Chairman of TV ASIA Padma Shri, Mr. H.R. Shah. BJANA President, Mr. Vinay Singh presented Mr. Udit Narayan with a plaque, commemorating his contributions to Indian music. Community members stood spellbound as Mr. Udit Narayan sang a couple lines from his 2-3 popular songs, He also captivated the audience with his friendly smile and posed for pictures that are sure to serve as lifelong memories for all those who attended the event. This event was held with the help of BJANA’s committee members Dr. Avinash Gupta, Anurag Kumar, Sudhaker Raj, Alok Kumar, Pranit Singh, Dr. Anil Singh, Sanjay Gupta and Aditi Mohan.